Jeanette M. Nelson has more than 20 years marketing and project management experience in the healthcare industry. 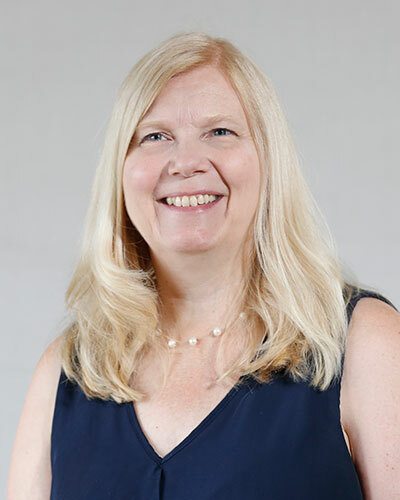 Jeanette’s consulting practice is focused on creating marketing programs that further patient-centric healthcare, unify business partners and simplify regulatory issues and evolving technologies for providers, payers and technology vendors. Through thought leadership, publications and events, written communications and marketing campaigns, Jeanette helps clients increase brand awareness, eliminate knowledge barriers and grow market share. She is a strong advocate of using health information exchange, the verb, and HIEs, the noun, to enable the delivery of interoperable, longitudinal electronic patient records to the point of care and to remove financial and technology barriers that limit pharmacists’ ability to collaborate with ACOs and other providers involved in their patients’ care. Jeanette’s strengths include writing, relationship building, marketing innovation, multi-stakeholder collaboration, strategic thinking and leadership. She has a thorough understanding of how health IT affects patients and individual stakeholders, including providers, pharmacies and payers. Her areas of focus include health information exchange, electronic prescribing, electronic prior authorization, medication reconciliation, meaningful use and mHealth. Before joining Point-of-Care Partners, Jeanette managed product marketing at Emdeon, a leading provider of revenue and payment cycle management and clinical information exchange solutions. During her 18-year career with Emdeon and its predecessor companies, Jeanette developed and implemented brand and product marketing programs for all Emdeon business segments and led pharmacy services marketing with a focus on clinical and PBM Solutions. While there, Jeanette led the initial effort to establish the Emdeon Clinical ExchangeTM brand to distinguish the company’s clinical solutions from its revenue and payment cycle solutions, and she managed all marketing activities related to Emdeon’s acquisition of eRx Network. Her work to position Emdeon’s prescription benefit administration solutions resulted in a MARCOM Gold award. Additionally on the innovation front, Jeanette led an extensive educational effort to prepare the industry for electronic prescribing of controlled substances (EPCS). Prior to joining Emdeon, Jeanette was a project coordinator for a pharmaceutical advertising agency where she managed a patient registry mandated by the FDA. Jeanette began her career in the public relations department of Revco D.S. Inc. – now part of CVS – assisting with PR efforts and then managing customer relations nationwide. Through her direct interactions with thousands of Revco customers, by phone and mail, Jeanette developed a deep understanding of patient needs, the role of technology in patient care settings, and a patient-centric view and appreciation of pharmacists’ role in healthcare delivery. Before, during and after Revco’s Chapter 11 proceedings, Jeanette was instrumental in helping the company retain customers and redefine its image through targeted marketing/PR campaigns, company-wide communications and visual reporting that was integral to senior management and enabled district managers to uphold the company’s high customer service standards.